“Washington, D.C. chef Amy Brandwein is thrilled to announce June 1, 2015 as the opening date of Centrolina, her 4,075-square-foot market and seasonal Italian osteria. 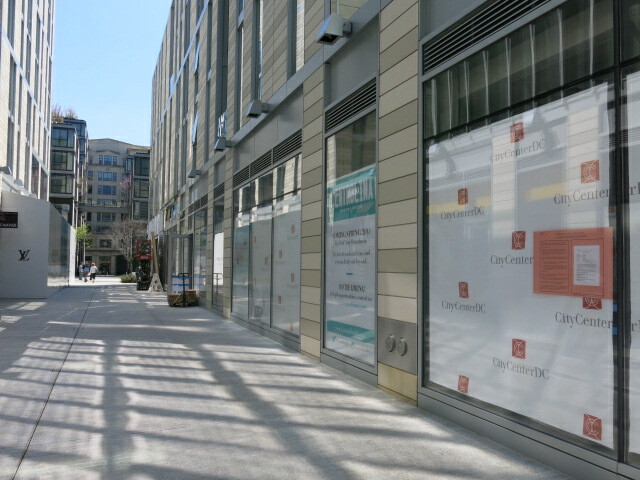 Centrolina will open at 974 Palmer Alley in downtown’s expansive CityCenterDC development. Brandwein’s first solo restaurant outing will be open daily for lunch and dinner, as well as weekend brunch. Market hours begin at 8 am on May 26, and reservations are now available for lunch beginning June 1. The kitchen will serve a 48-seat dining room, 16-seat bar and 32-seat patio. The market will offer a selection of imported Italian specialty goods along with meat, fish and produce from local farms, a selection of house-made items and a barista-serviced coffee program. Centrolina will feature a concise and frequently-rotating Italian menu of around 15 dishes, including antipasti courses such as wood-roasted octopus suffocato or burrata with market vegetables agrodolce. Pasta dishes will include pappardelle lamb ragu and chiancarelle with turnip greens and tuna. A legna courses will showcase wood-fired fish and meat like poletto (young chicken) with crostini and pan drippings, and tuna with roasted bone marrow and snap peas. Seasonal availability will be the guiding principal of the menu, and Brandwein plans to maintain a sense of interconnectedness between her kitchen and Centrolina’s retail wing. Rather than attempting to be a comprehensive Italian emporium, the market will reflect Brandwein’s own experiences with Italian cooking and the products and produce she loves and uses. The beverage program will feature a wine list that combines imported Italian favorites with the best of Virginia; a beer selection that skews heavily local, and a short list of classic Italian cocktails given a contemporary twist. The wine menu’s marriage of the best Italian imports with regional favorites will be echoed in the market where imported cheeses and specialty items share counter space with fantastic local produce, meat and seafood. Grocery items will include dried pasta from all over Italy as well as fresh pasta from the Centrolina kitchen, accompanied by up to a dozen house-made sauces. The dairy and produce sections will be stocked with goods from farmers and artisans from Virginia, Maryland and Pennsylvania. The lineup of Italian specialty items will include anchovies, olives, vinegar, olive oil, salumi, imported and local cheeses and sweets. Wine and craft beer will also be available for sale. The market will feature a barista-serviced coffee counter along with breakfast in the form of fried-to-order bamboloni, house-made quiches and scones. Grab-and-go lunch offerings will include panini, antipasti, salads and pastries. In the evening, the coffee counter will turn into a five-seat mini cocktail bar where guests can enjoy a tipple before shopping or while waiting for their seat at the osteria. Brandwein worked with D.C.-based architecture/design firm CORE to create Centrolina’s fresh, light and relaxed look. The calm and mainly neutral color palette combines white, cream, grey and blond-wood tones with sophisticated punches of turquoise, terracotta and fuchsia. Smooth, white metal finishes join white-painted brick, leather, light wood, and polished concrete to create an easy Californian aesthetic. Centrolina’s original artwork by Piero Passacantando is infused with a sense of romance and a love of the foods and landscapes of Italy. The quick-stop counter and coffee bar, piled high with fresh grab-and-go sandwiches and house-made pastries, will be the first thing customers see when they walk into the market. As they browse the fresh and prepared-food displays, they will find the restaurant and bar space nestled behind. Restaurant guests, with views of fresh market produce, an open kitchen and terracotta-clad wood oven, will be immersed in the cooking experience as they dine. The cooking will be served on hand thrown, wood fired pottery dishes designed and created by New York potter Jane Herold. Slash Run, from owners of Bar Charley, El Chucho, Jackies etc, “back on track for June opening”!